You can customize this elegant necklace by choosing the color of the 2 glass cabochons. Choose also if you like better an open spirale or a closed spirale? 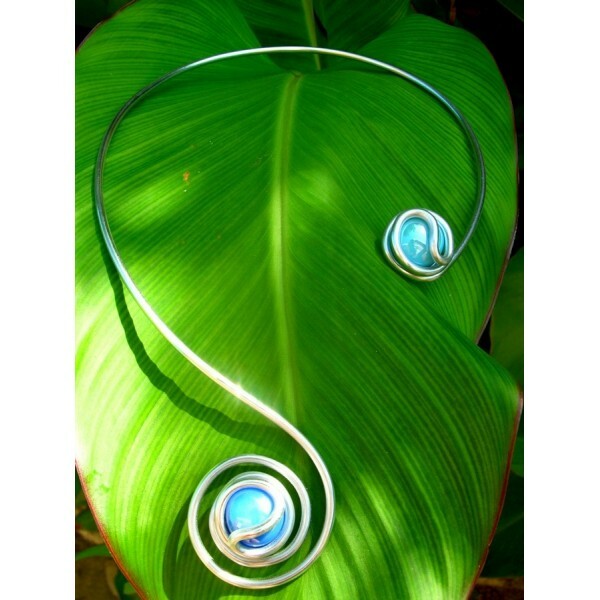 "Ying-yang" big earrings are customizable : you can choose the colour of the glass bead (20 different colors).